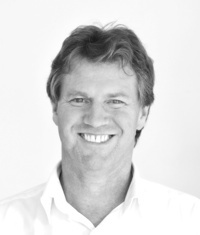 Michael King, co-founder of the Cosmosis Mentoring Centre says "We have are diverse range of fully accredited mentors. We also have a supervising Medical Doctor and Psychologist together with two supervising university trained Counsellors and a University trained Naturopath. I believe that you will find that we are the only organisation of this type in Australia. We also adhere to our own very strict code of ethics which you can view here." 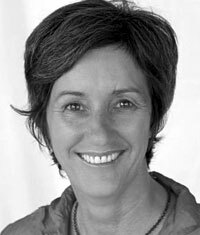 Jennifer is a Board Certified Family and Holistic Doctor and a Fellow of the Royal Australian College of GPs. She has enjoyed a rich life during her 25 years in medicine, including working in Private Practice, Emergency Rooms, and in Indigenous Health.She has a real passion for indigenous health and worked with over 10 tribes from the bottom of the Grand Canyon to an Island in Alaska.Most recently she has spent the last 5 years with the Maori in New Zealand and then moved to Australia to work in an Aboriginal Clinic.Her other passion is alternative medicine which she has learned from the medicine men and healers of these various tribes.She took this to another level in 2001 when she became board certified in Holistic Medicine. She has recently fulfilled her dream of starting an integrated clinic where all healing modalities work together to effect change. Jenna supervises all of the mentoring activities for the team and closely monitors everyones progress. Dr. Jenna works out of a clinic in Perth, Western Australia called The Healing Rooms. 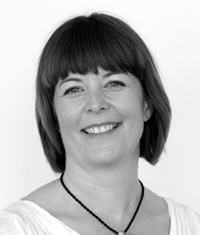 Claudia is a Psychologist with 15 years experience in Counselling and Therapy. She has a Bachelor of Arts (Psychology) and Master of Arts (Psychology) and a Masters in Couple and Family Therapy (UNSW). As a young Psychologist, she worked for a number of years in the field of drug and alcohol treatment and found that work to be discouraging and difficult. Not understanding at that time that she was simply stuck in the hopelessness and stagnation of the culture of the organization she worked in, she became disillusioned with her work, and heading towards burnout, she decided to change careers and become a Naturopath. She studied full time for four years to gain this qualification. No sooner than she had done this, then she realised that Psychology and counseling were after all where her heart was, and with the added wisdom of a few more years, and a better understanding of her previous experience, she was able to perform this role with joy and love and compassion. She has, of course, never regretted her dalliance with naturopathy, and still uses some of the knowledge gained there with her clients when appropriate. Claudia soon moved from the drug and alcohol field, wanting to expand her experience to working with other types of clients, and she continued her interest in finding the heart and soul of Psychological practice. She now works with adolescents in the education system, as well as in private practice and finds the balance between these to be very rewarding. Claudia aims to make therapy as inspiring, and as transformative as it can be, while also being completely client focused. As an experienced Psychologist, she helps facilitate growth and development in the families and individuals she sees, and assists them to identify and eradicate the old patterns and processes, and the obstacles, fear and doubt that get in the way of happiness and of living a full, loving and fulfilling life. Claudia supervises the mentees from a psychological perspective and steps in to assist if anyone encounters any obstacles of a psychological nature. 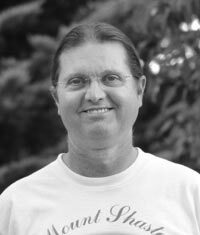 Kim has a deep passion for natural therapies, making some of his own remedies and developing his own essences. He loves working with people to assist them to empower themselves and improve their state of health and wellbeing in a natural way. Over 30 years he has worked in many areas of herbal medicine, growing, harvesting and manufacturing herbal medicines, developing a herb growers co-operative and web based portal for herbs. 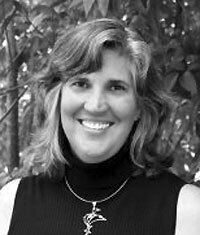 Kim's previous experiences include landscape design and construction, consulting with school and community groups facilitating environmental awareness programs, bush land re-vegetation projects and establishing school environment groups. He has a strong love and connection with the natural environment, enjoys bushwalking and worked in a variety of roles to further the preservation of our natural environment. Qualifications include Bachelor of Health Science in Natural Medicine, Post Graduate Diploma in Western Herbal Medicine, Diploma of Naturopathy, Cert IV TAE. Kim works out of a clinic in Perth, Western Australia called The Healing Rooms. 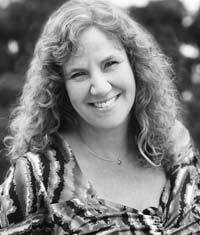 Our Senior Cosmosis™ Mentor and resident Holistic Counselor is Linda Koen. As the head, heart and soul of Source Centre, Linda understands how challenging it can be to get through life relatively unscathed. There are many emotional impacts which occur throughout life that provide us with opportunities to carry on, find courage within ourselves, let go, forgive, be vulnerable, stand up, heal and love. Through the 'Healing the Human back into Alignment with the Authentic Self' course, participants incorporate the Cosmosis® process in the healing journey. By reorienting oneself back into alignment with the truth, centred in the heart, and embracing attitudes of acceptance, gratitude and hope, we then proceed to meet the challenges of live. One step, one breath, one moment at a time. 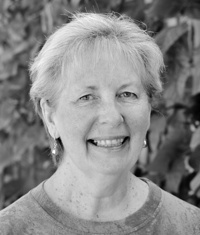 As one of the developers of Cosmosis® Coaching System, Linda lives the process. She develops and delivers training which provides participants with tools and processes designed to deepen their understanding of being a fully conscious and aware individual aspect of Source. Linda steps in to assist anyone who requires counselling in order to integrate new coping stratagies into their lives. She works closely with our Psychologist Claudia. 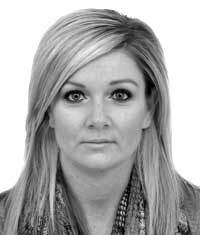 Lauren is a university qualified Holistic Counsellor with extensive experience in drug and alcohol rehabilitation. She is also a qualified Life Coach and has lived overseas for many years including in the Middle East. Lauren has literally travelled all over the planet experiencing different cultures. 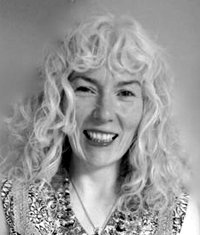 She brings a unique perspective to her Coaching and Counselling work with her love of diversity and her insight into the social and geo-political influences involved in peoples patterns of behaviour. Lauren works closely with Linda Koen to assist clients to integrate new coping strategies and also steps in if any major life changes occur within the personal growth process of our clients. Debbie is a Financial Wellness Coach, author and Mentor with an extensive background in financial counselling, offering advice and knowledge in the area of financial freedom by embracing abundance and success. 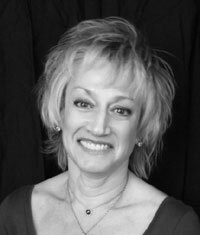 Known for her ability to discover and clear blocks that prevent people’s full potential, Debbie offers classes, mentoring and coaching that examine every day money issues from a practical level while using the Universal principals of abundance to expand one’s life. Debbie is an active community advocate for financial accountability and encourages all to take control of their lives through responsible actions. Being a Financial Wellness Mentor and through my own life experience along the path of my own self discovery, I discovered that my passion is to share with clients and students that they are so much more than they could ever dream they could be, to be in flow with the universe and experience abundance in all areas of their lives. Working with people who are part of the new age movement really makes my heart sing. I find there is a confusion about what being spiritual really is. What I have found myself being spiritual is not about floating away from living; it is stepping in to our plan and purpose whilst embracing our full potential. How really being Spiritual is participating in life, embracing our physical vehicle and taking responsibility for what we are imprinting on this lovely little planet we live on. We don’t have to run away from living when our feet are firmly on the ground this is truly being spirit in human form. Jenny Parker is a woman of the world. She has had many adventures in her quest to find the beauty of self, including riding across the Nullarbor on a bike (the stark, treeless plain between Perth and Adelaide in south western Australia) and sailing half-way around the world on a yacht. She has had many careers, including a design business in London, England. For the past 13 years Jenny has been officially working as a healer, writer, coach, Ascension Mentor, teacher and inspirational speaker. Jenny has developed her own unique way of working which melds mind/body/soul mechanics. She’s passionate about all aspects of the ascension path, especially uncovering sabotage patterning and programming so as to return to the authenticity of self, and helping others to do the same. Jenny’s vision is the transformation of humanity to compassion and joy, and the restoration of planetary health. She shares that, “My mission is to fully embody heart mastery and wisdom on all levels of my being, and to inspire others to do the same.” In her own playful way, she creates laughter and a brighter outlook wherever she goes. Jenny currently lives in Perth, Australia. 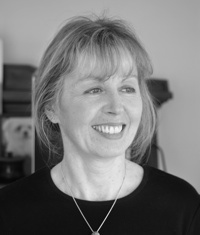 Debbie since 1998, has operated a natural healing business earning a reputation for delivering high quality personal transformation on the physical, emotional, mental and spiritual levels, working mostly using phone and Skype for remote coaching & mentoring sessions. Debbie is also a senior mentor for the Global Coaching Academy. 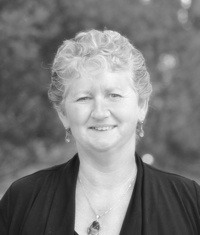 As a personal growth teacher and presenter, Debbie facilitates weekly, interactive classes that assist people to live life authentically and in an extraordinary way using the Cosmosis™ Mentoring Centre tools and techniques. She also talks to businesses & social groups about Energetic Hygiene Self care that really optimize the way we interact with each other in both our personal and professional lives. Debbie is a nurturing, supportive and motivated personal growth facilitator and is passionate about grounded transformation, this is reflected from her own willingness to create the necessary change in her own life to be the best she can possibly be. On a personal note... Debbie has 2 wonderful grown up children who have now moved on from the comfort of family living, embracing each new step with courage and passion. Qualifications: Cert 4 in Coaching & Mentoring, Cert 4 in Training & Education (TAE), Dip Reflexology & Dip Remedial Massage. Currently furthering her studies with a Qualification in Counseling, majoring in workplace relations & addictions. Arlene is an A-V Rated Attorney (highest) with 25+ years of experience, a Certified and Cosmosis ® Coach/Mentor, a Presenter, Healer, Artist, and the Daughter of a Korean War Veteran. Arlene's mission is to teach people the lost art of relating from the heart so they can create healthy and harmonious relationships with themselves and others. 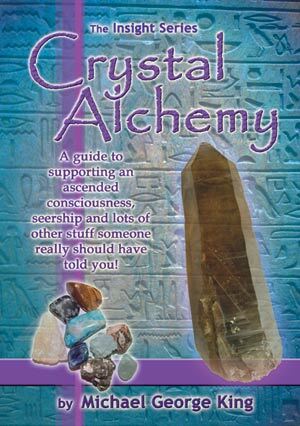 Arlene offers multi-disciplinary products and services: i.e., Mentoring & Coaching, Spiritual Healing, e-Courses, Workshops and fine Works of Art. The specialized tools, programs and systems that she offers through her business, Jewel Consultancy, help people from around the world to reach their goals, complete projects and master new, innovative and creative approaches to work and life. Jacqui is a Mentor who specialises in offering the services to those individuals who have experienced abuse and the associated challenges that presents when terminating a relationship with unclear / unethical so-called spiritual organisations. As this is in her recent learnings in this lifetime, Jacqui’s passion is to assist individuals to heal from such experiences. Her ability to hold a loving and non-judging presence, from where the work begins, is a key element to assisting individuals on the road to healing the grief, loss and confusion that often accompanies abuse of this type. Jacqui gently inspires individuals to learn the process of letting go of the past and in so doing, a life full of potential begins to blossom and ground, step by step, enabling a beautiful sense of hope to once again shine forth from within. Jacqui is a graduate of the GCA's Certificate IV Mentor and Life Coaching program and holds a Certificate IV TAE Work Place Training and Assessing and a Certificate IV in Small Business Management. Jacqui’s passion is to give back, to assist and walk along side those who wish to commit to the journey of healing and self discovery. 'Campbell is endorsed and qualified as a Cosmosis Mentoring Centre mentor, coach and facilitator. He also holds qualifications in Management and IT, in addition to a Certificate IV in Mentoring and Coaching. Campbell loves life. He brings an unflappable, can-do attitude while assisting others to grow and bring their dreams to fruition. 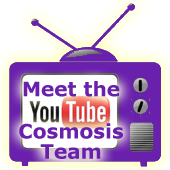 Through his own business he applies the essence of Cosmosis® as he mentors and coaches technology professionals, others working in the corporate sector and those wanting to find and achieve their potential. 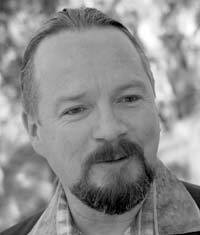 Rupert Guenther - Cosmosis™ Mentor in Australia. Rupert specialises in the performing Arts. 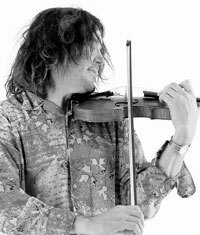 Rupert is an acomplished world class violinist who is also a Cosmosis Mentor. John comes well qualified as a team member having lived a varied and interesting life ranging from working in management at a young age, working as an aged care nurse, running his own small business, circumnavigating Australia twice solo on a motorcycle and many amazing experiences in between. 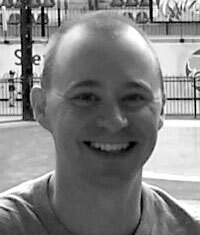 John spends most of his time handling all facets of student records and managing the administration department for the Global Coaching Academy. He holds a Diploma of Holistic Counselling, however, his preference is working behind the scenes in a support role for the team, using his excellent logic and organisational skills to the administration side of things. Belinda created our Certificate IV in Mentoring and Coaching which she co-facilitates with Michael through their nationally accredited training program, incorporating the essence of Cosmosis®. A visionary mentor with a creative edge, Belinda holds qualifications in management, leadership, mentoring, coaching, training and business. In 2009 she was voted WA coach of the year by her peers at the International Coach Federation, an organisation for which she served on the board as Director of Australia. In 2011 she was awarded the coveted “Executive of the Year” by Stanford’s Who’s Who of Entrepreneurs and Executives. A sought-after presenter and writer, she spends her time dreaming up new ways of getting the mentoring mentality ‘out there’ to inspire others. In her spare time she loves creating art and riding her motorcycle. Lorraine is the owner of Success Spirit Mentoring and Coaching through which she facilitates Transformational Life Coaching sessions, weekly Meditation classes and Manage Your Stress and Balance in a Heartbeat—Energetic Self-care courses within the community. Her passion is to give back by assisting and inspiring those who are drawn to heart-based training and living, to embrace even more of their potential for success as shining lights within their chosen profession. In this way Lorraine is a Trainer and Assessor for the Certificate IV in Mentoring and Coaching course through the Global Coaching Academy and is also the Professional Development Coordinator for the International Coach Federation Perth. 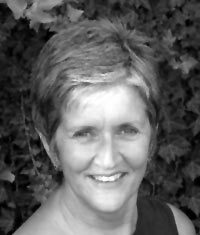 Lorraine holds the qualifications of Certificate IV in Mentoring and Coaching, Certificate IV in Training and Assessment, Diploma in Acupuncture and over 30 years of experience teaching personal development and stress management.